New York Times features the Raspberry Pi and Adafruit products! @Raspberry_Pi #raspberrypi « Adafruit Industries – Makers, hackers, artists, designers and engineers! 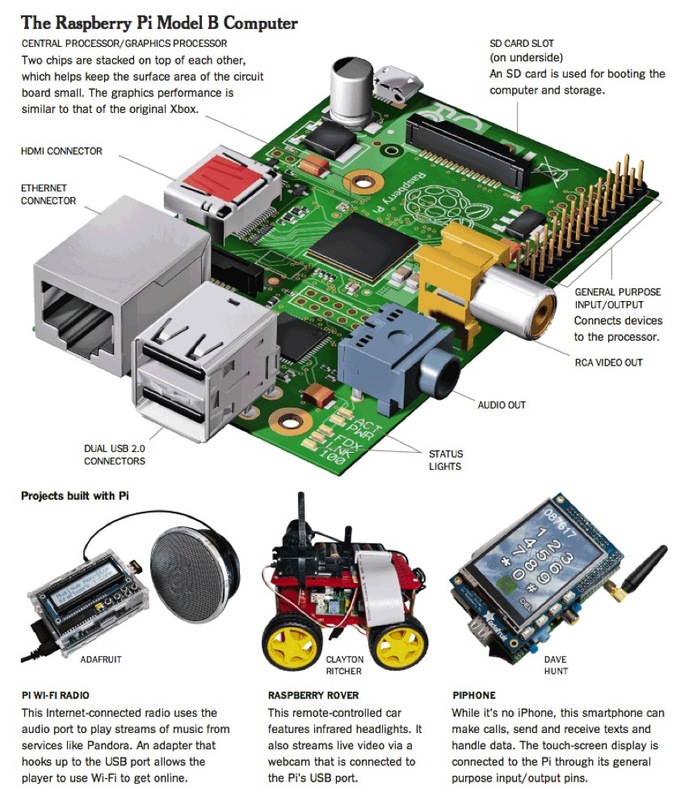 A Breakdown of the Raspberry Pi Computer @ NYTimes.com. Raspberry Pi, a tiny computer the size of a credit card, has captured the imaginations of students, educators and tinkerers around the world since it became available in 2012. Earlier this month, the organization behind the computer announced that it had sold its three millionth device. The computer was first developed by faculty members at the University of Cambridge in Britain who had noticed their incoming computer science students were ill-prepared for a high-tech education. They decided to build an inexpensive device that students could learn from. Raspberry Pi Adafruit gear featured! I’ve been waiting for this for a while, Been off the grid for a few years. Good to see the progress.